The Islandaire EZ Series 26 TTW is a great air conditioner with a convenient remote controler. 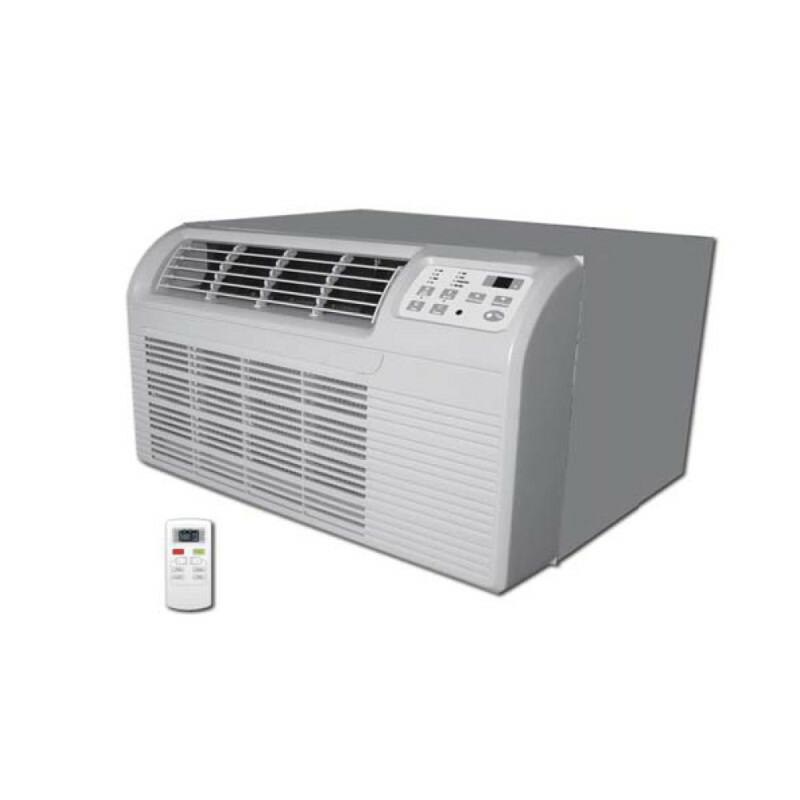 It was designed for new construction or replacing 26-inch packaged terminal air-conditioning systems in existing buildings. This unit is 85 pounds and 26 inches wide, 15 5/8 inches high, and 16 7/8 inches deep. This means it will fit in a standard wall sleeve. It will require careful installation in the exterior wall of the room. The power cord is 8 feet long. It operates at 9,000 Btus, 115 V, and 15 A. You can feel good about owning this unit because it has an Energy Saver Mode. The controls are easy-to-use electronic touch pad controls. The design of this unit was focused on indoor noise reduction. There is a four-way adjustable discharge and slide-out chassis. Islandaire is the fastest-growing specialty heating and air-conditioning manufacturer in all of North America. For over 25 years, Islandaire has been producing high-quality air conditioners, heat pumps, and much more. They have put thought into the design of their products, making sure each model fits perfectly into the original wall sleeves. These units are made to operate efficiently and quietly. The engineers have put care and attention into the units, making them superior products you can trust. Don't wait any longer. Buy your Islandaire TTW A/C with 1.0 kW Resistive Electric Heat today. *Please note that PTAC units do not include sleeves and grilles. These must be purchased separately.